Summary from Goodreads: When Adam Blake lands the best elective ever in his senior year, serving as an aide to the school psychologist, he thinks he’s got it made. Sure, it means a lot of sitting around, which isn’t easy for a guy with ADHD, but he can’t complain, since he gets to spend the period texting all his friends. Then the doctor asks him to track down the troubled freshman who keeps dodging her, and Adam discovers that the boy is Julian–the foster brother he hasn’t seen in five years. Wow. I seriously do not know what to say after reading this beautiful, heartbreaking book. How do you even write a review for a book like this one? Because I don’t know. Nothing I saw will do this book justice. And that’s why I’m doing this review a bit different than normal. Rarely do I read a book that leaves me feeling the same way A List of Cages did. Rarely do I read a book that actually makes me cry. The few exceptions for these are Salt to the Sea, Wonder, and now A List of Cages. When I read the synopsis of this book, I didn’t expect it to be as emotional as it was. Everyone was saying this book was so heartbreaking, but I wasn’t sure how exactly this book could break someone’s heart just from the description. Clearly I was wrong. This book wrecked me. It made me laugh and cry and grin and cry even more. My heart was shattered into a million tiny pieces more than one time. My eyes watered with tears more than one time. But at the same time, parts of this book just warmed my heart and made me so happy. I can’t even begin to explain how I felt while reading this book. Though I won’t go into detail about it in my review, I am warning you that there is child abuse in this book. Adam Blake is a senior in highschool with ADHD. He leads a happy life with a large group of friends. When he was in fifth grade, his class was paired wit kindergarten reading buddies. Adam’s buddy was a second grade boy named Julian with dyslexia. Julian’s parents both died shortly after. Adam’s mother takes Julian in as a foster child. Her and Adam are devastated when Julian leaves them to go live with his uncle, Russell, who tells them they are not allowed to communicate with Julian ever again. Now, years have passed by and Adam hasn’t seen Julian since. Until, his new elective is being the aide for the school psychologist. He runs into Julian, and the school’s psychologist gives him the job of tracking down Julian and bringing him to her. Soon, Adam and Julian become friends once more. Julian begins to hang out with Adam’ and his friends, but little does anyone know about what’s happening when Julian is at home. His uncle Russell has been abusing him for years since he first took him in years ago. 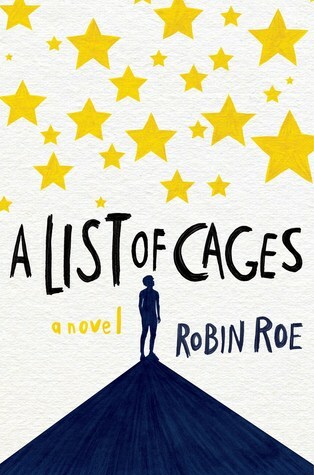 It’s so hard to describe a book like A List of Cages. I know that’s not a great description, but I have no clue how else to tell you without getting into more detail. All I have to say about it is that you need to go and read it. The writing was beautiful. I didn’t realize Robin Roe was a debut author at first, and it’s hard to believe it. Not only did she write such a heartbreakingly beautiful story, but her writing style is amazing. All her characters are very complex and developed. Even the side characters have multiple sides to them. She had me hooked from the first page with the great characters and beautiful writing. There wasn’t a single moment in this book where I was bored. I wish I could rate this book over a million stars because that’s how many it deserves. Five just isn’t enough. A List of Cages is about a very difficult topic, child abuse. This book may not be for you and the story may make you uncomfortable. I’ve never read a book about child abuse before, and it was very eye opening. I definitely think you should read this book, but I do understand if it’s not for you. Overall, A List of Cages was a beautiful, heartbreaking masterpiece of a book. It’s hard to believe Roe is a debut author based on this wonderful book she’s written. Rarely does a book leave me feeling the same way this one did, and rarely does a book make me cry, especially as much as this one. I recently read an ARC of this and I enjoyed it, too! Such an emotional read. And I completely agree; Roe’s writing was stunning! A List of Cages was a wonderful debut. I’m glad. 🙂 It really was emotional. I can’t wait to read more books from Roe! Wonderful review–I’m sold. I need to read this. I’m probably a masochist or something because I love books that make me cry and break my heart, so I am ready to read this one. 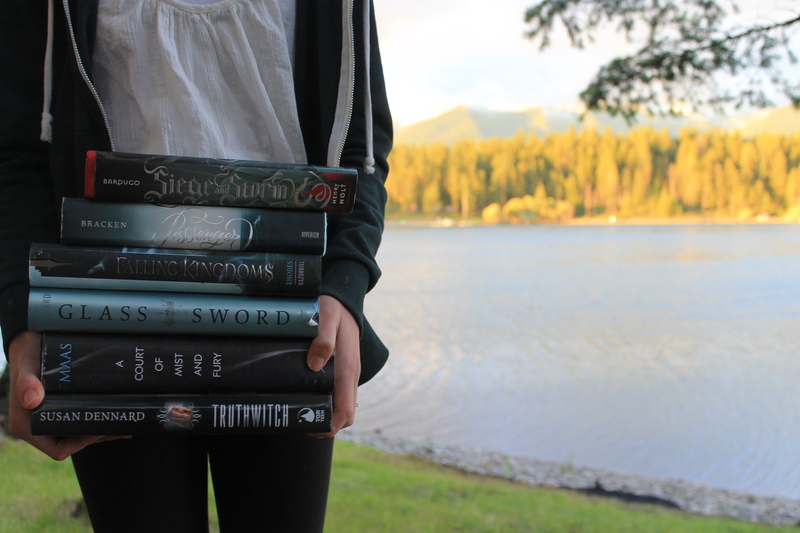 Also, child abuse is an important topic that isn’t dealt with much in YA. Thanks for the review! Thank you! It was absolutely gorgeous. I’ve never read a book that deals with child abuse, so I think it just goes to show that it’s a topic never really brought up in YA. I’m so glad I was able to read this though because of it.